While no one likes to admit defeat, sometimes our debts simply get the better of us and bankruptcy may become the only option for a better financial future. Unfortunately, your credit will see lasting negative impacts from a bankruptcy, but you can repair your credit with some hard work — and a lot of patience. Below are the top cards on the market for those recovering from a bankruptcy. Our reviews follow strict editorial guidelines. Remember, only you can build a good credit history. Make your payments on time each month, and keep your balance low relative to the credit limit, for positive marks on your credit report each month. While the harsh reality is that bankruptcy is the lowest point your finances can reach, it can also be the light at the end of the tunnel. Clearing your unpaid debts through a bankruptcy discharge is like pushing the hard “reset” button on your finances. Whether due to an unforeseen circumstance, like job loss, a medical emergency and its associated costs, or even serious overspending, choosing to file creates an opportunity to start over. Thankfully, there are credit card issuers that understand you want to work hard to rebuild your credit after the tough decision to file bankruptcy, and being approved for a credit card may be easier than you think. Here we’ll answer four common questions about getting a credit card after bankruptcy. 1. How Long After Chapter 7 Bankruptcy Discharge Can I Get a Credit Card? After filing for bankruptcy and going through all the motions of credit counseling and court judgements, your discharge will come through typically within a couple of months. After you receive your discharge and your debts are free and clear, it’s time to begin rebuilding your credit. Though there are no specific guidelines as to when one should begin, about half of bankruptcy filers apply and are approved for new lines of credit within one year of filing, so it is safe to assume many apply — and are approved for — a new line of credit fairly quickly. It’s more about when you feel ready to take on the responsibility of credit card ownership again, and finding the right card to help you rebuild your credit. 2. Can a Bankruptcy-Friendly Card Help Me Rebuild Credit? A credit card is a great way to begin rebuilding credit. Just be sure to choose a card that reports to all three credit bureaus — Experian, Equifax, TransUnion — so that there’s a record of your credit card usage and payments on file, also known as your credit report. While most credit cards do report to the major bureaus, some, like prepaid cards, do not, so be sure to read the terms and conditions before applying. Always pay your bill on time. 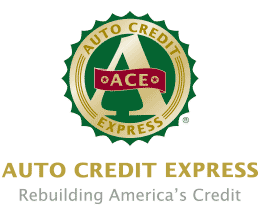 On-time payments account for 35% of your FICO credit score. Keep your credit utilization rate low. Most experts recommend 30% or lower. This is your debt-to-credit ratio, so for example, if you have a credit limit of $1,000, never keep a balance of more than $300 unless you intend to pay the balance in full at the end of the month. Your credit utilization accounts for 30% of your FICO credit score. Be sure to use the card — just applying for the card and having the open line of credit available is helpful, but if you don’t use it for an extended period of time, the card issuer can close the account. Once an account is closed, it will affect your average age of accounts (the longer an account is kept in good standing the better), which accounts for 10% of your FICO credit score. On-time payments and keeping a low balance on your new credit card are two proven ways to help you rebuild your credit. 3. What Are the Best Post-Bankruptcy Discharge Credit Cards? Our experts have rated and reviewed the top credit card offers for those who have experienced a bankruptcy, as listed above. While First PREMIER Bank’s credit card offers top our list, the best card for one person may not be the best for another. The Fingerhut credit card on this list, for example, will approve most of its applicants regardless of credit issues, and it reports to all three credit bureaus to help you rebuild your credit, but can only be used at Fingerhut and its few selected partners. For someone with a singular goal to rebuild credit, this could be a good choice. For someone who wants the ability to use their new credit card anywhere, not so much. There’s also the consideration of an unsecured card versus a secured card — the best option for you depends on, well, you. In addition to the above list, you can see a comparison of the best bankruptcy-OK credit cards here. The term unsecured just means there is no collateral on your part to be approved for the line of credit, and any balance on the card will be an “unsecured” form of debt. Most credit cards are unsecured. Applying for an unsecured credit card after bankruptcy still has its requirements, though, and expect to pay high interest rates because of your poor credit standing. Typical requirements include an active checking account, an application fee, and in some instances, a minimum monthly income. Most issuers will let you check to see if you pre-qualify for an unsecured credit card offer before you apply with no impact to your credit — simply click the “apply here” button of an offer above to be directed to the issuer’s website, where you may be asked to fill out a pre-qualification form to find out if you qualify to apply. Understand, however, that being pre-approved does not guarantee approval. Details provided in the application, such as your employment status and income, will greatly affect the approval decision. Getting approved for a secured card post bankruptcy will be easier than being approved for an unsecured credit card. This is because a secured credit card requires a deposit to secure the line of credit. The deposit amount is usually equal to the amount of your new credit limit. If the required deposit is less than the credit limit given to you, that is called partially secured. Deposit amounts and credit limits are based on creditworthiness, and you may not know either amount until after you apply and are presented with an offer. The deposit protects the card company if you miss a payment, as the company will deduct the owed money directly from the deposit. So long as your account is kept in good standing, the deposit amount can be refunded upon closing the account and graduating to an unsecured credit card. 4. Will Taking on Debt Too Soon After Bankruptcy Hurt My Credit? Not necessarily. While taking out a new credit account may improve your credit, accumulating a lot of debt on the card is not a good idea. This is true for everyone, not just bankruptcy filers. This ties back to the credit utilization ratio mentioned earlier. If your utilization rate is kept at a healthy level, such as the recommended 30% or lower, you won’t be considered by the banks to have unmanageable amounts of debt. It’s when your utilization rate shows more debt than available credit that your credit score begins to see negative impacts. It really is as easy as paying your bill on time (bonus points for paying the balance off each month if you can) and keeping your credit card balance low to keep your new credit account in good standing. A little credit card debt will not hurt your credit, so long as it’s manageable.